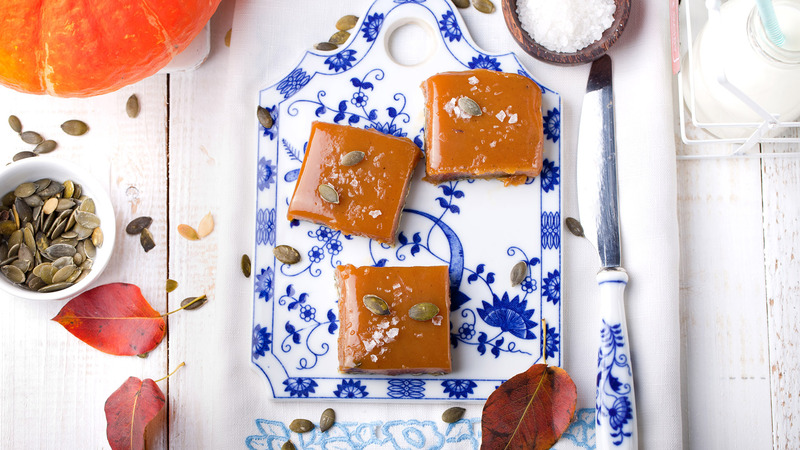 Salted caramel with pumpkin puree and seeds on a blue and white ceramic board. Hosting Thanksgiving dinner is hectic, but isn’t that part of the thrill? There’s a select group of us that get a total rush from the stress of roasting a turkey to perfection, whipping up decadent mashed potatoes with zero lumps, making that homemade cranberry sauce from scratch that has just the right amount of sweetness, letting the marshmallows on top of the sweet potato pie singe just a hair — and pulling off the miraculous feat of having all of the above come together at the same time. Performing under pressure at it’s finest. But what we don’t get a rush from is not having the oven space to make dinner and dessert. We’re miracle workers, sure — but if we don’t have space, we don’t have space. So if we can provide the fam with glorious desserts that don’t have to go in the oven, we’re all in. 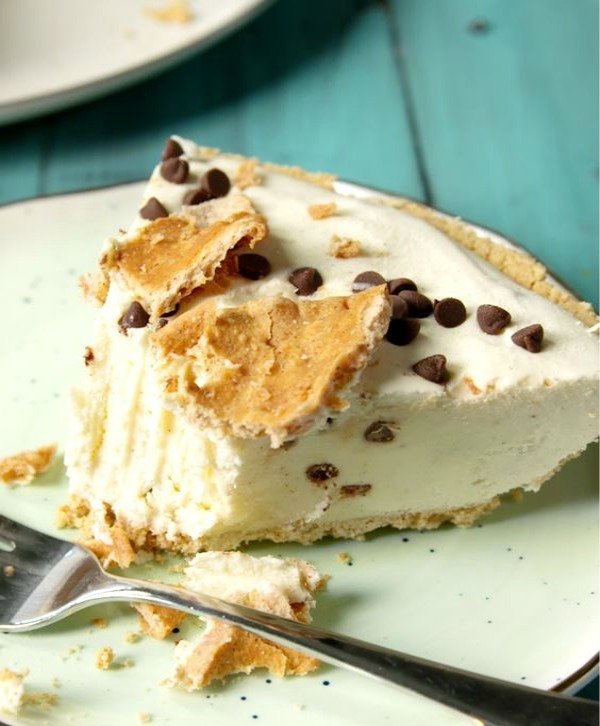 These no-bake recipes take the hassle out of dessert, so we can focus on that perfect dinner instead. A version of this story was originally published November 2015. 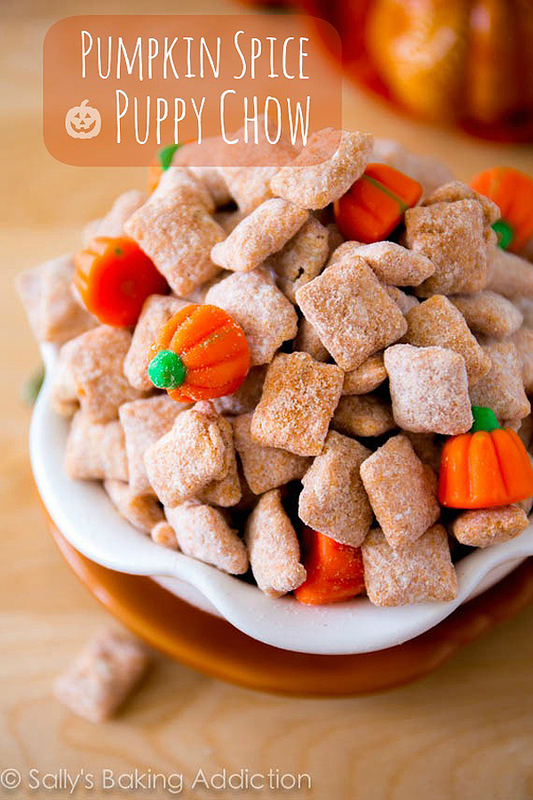 Puppy chow is always a party hit, and this no-bake pumpkin spice version is no exception. 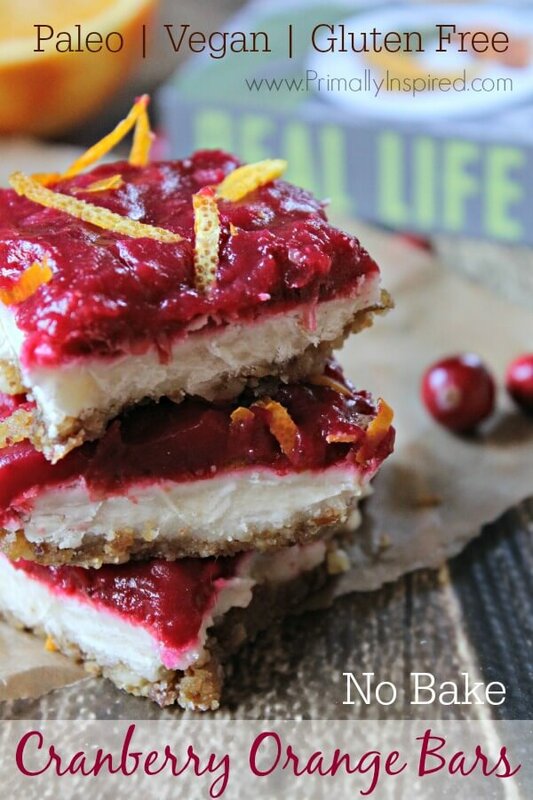 With fewer than 10 ingredients and no oven time required, these cranberry-orange bars couldn’t be easier. Image: Life Love and Sugar. 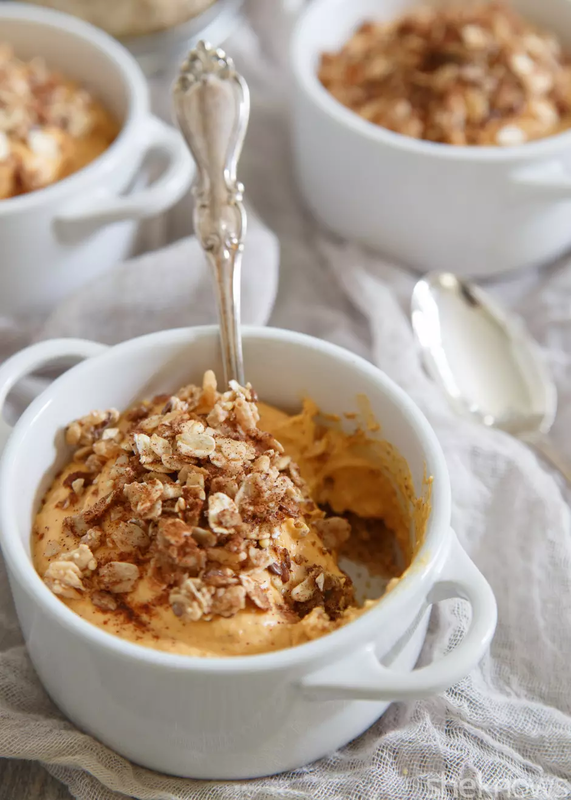 Layers of pumpkin, cream cheese mousse and gingernsap crumbles make this dessert unforgettable. 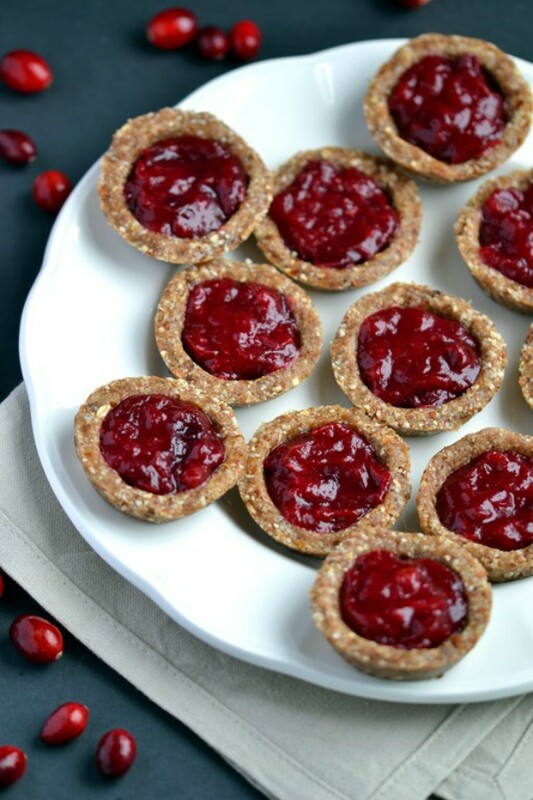 Tart-sweet cranberries make up the filling of these tasty little no-bake tarts. 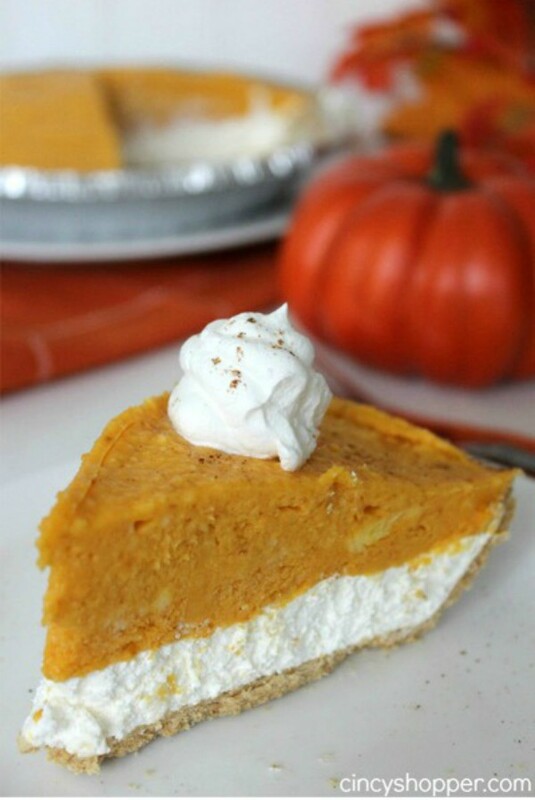 Add some variety to your classic pumpkin pie with this no-bake 2-layer recipe. 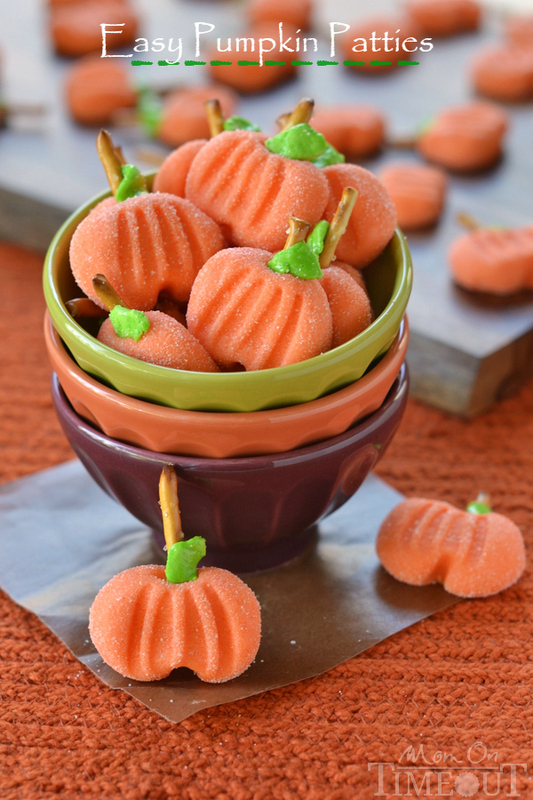 Sweet and chewy, these no-cook pumpkin candies are a pretty end to your meal. 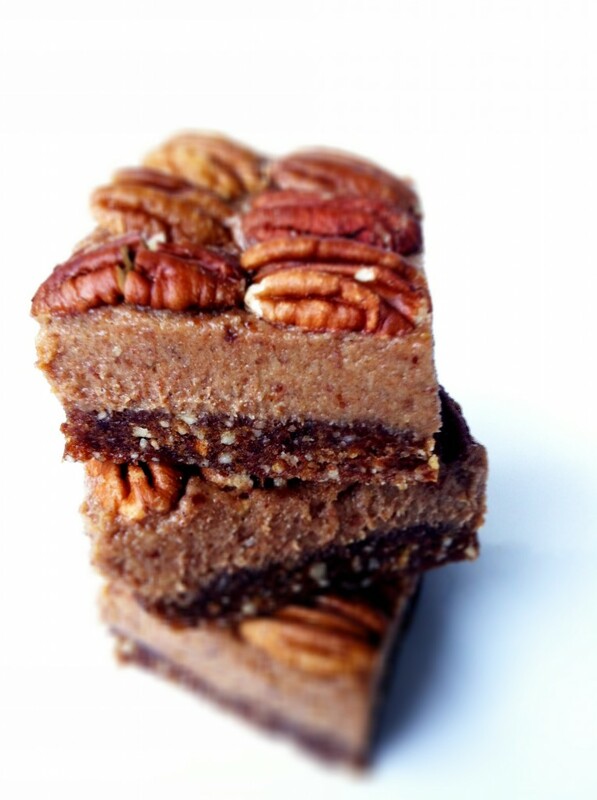 These no-bake pecan pie bites have all the flavor of your favorite holiday dessert, none of the cholesterol. Image: A Dash of Sanity. 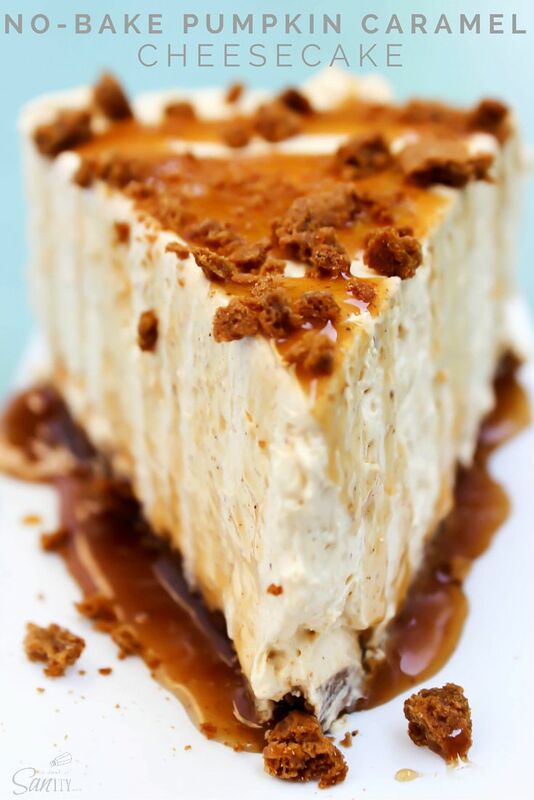 This no-bake pumpkin cheesecake is set atop a gingersnap cookie crust and doused in pumpkin spice caramel. 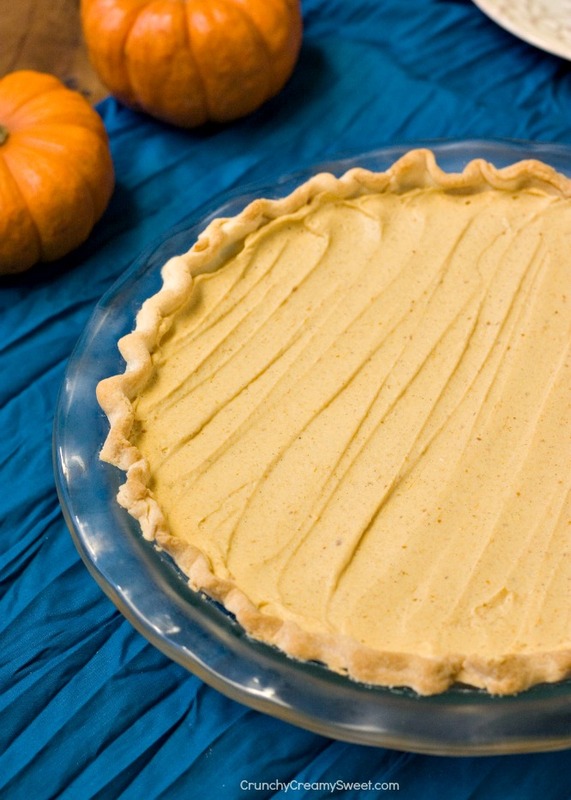 Silky and decadent, this no-bake pumpkin mousse pie is a Thanksgiving showstopper. Image: Who Needs a Cape. Not a fan of pie? 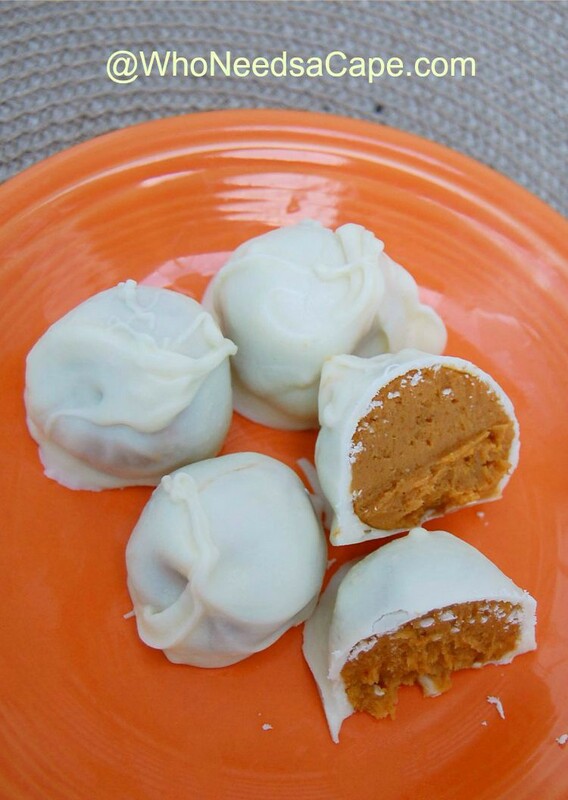 These no-bake pumpkin cheesecake balls are more like candy and oh so delicious. 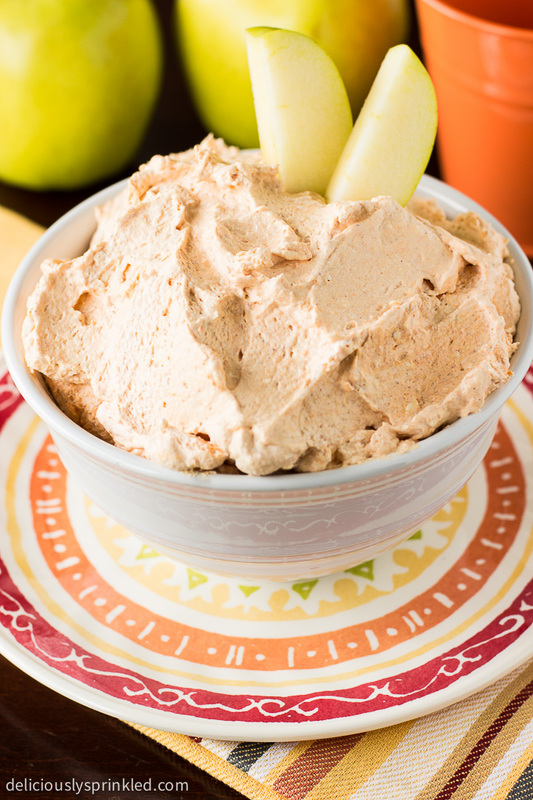 Use this sweet pumpkin dip as an excuse to add some fresh fruit to your holiday dessert spread. 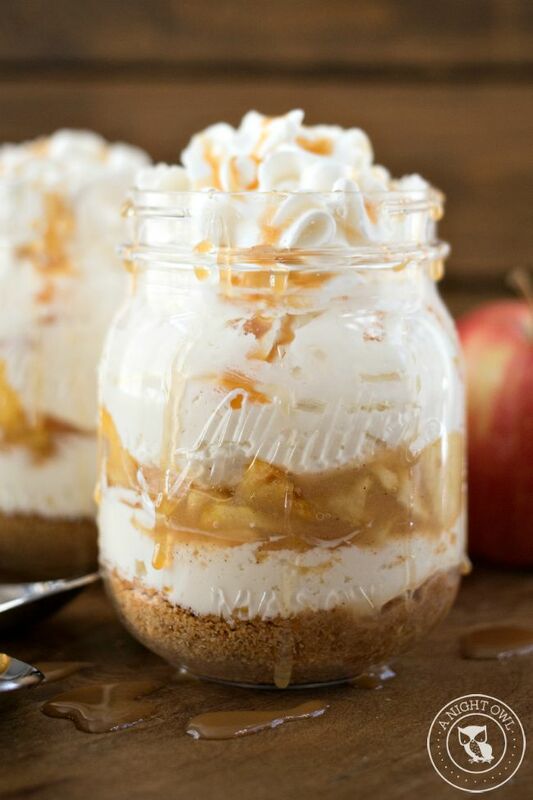 These sweet, cinnamon-spiced, no-bake apple cheesecakes are an easy dessert for a crowd. 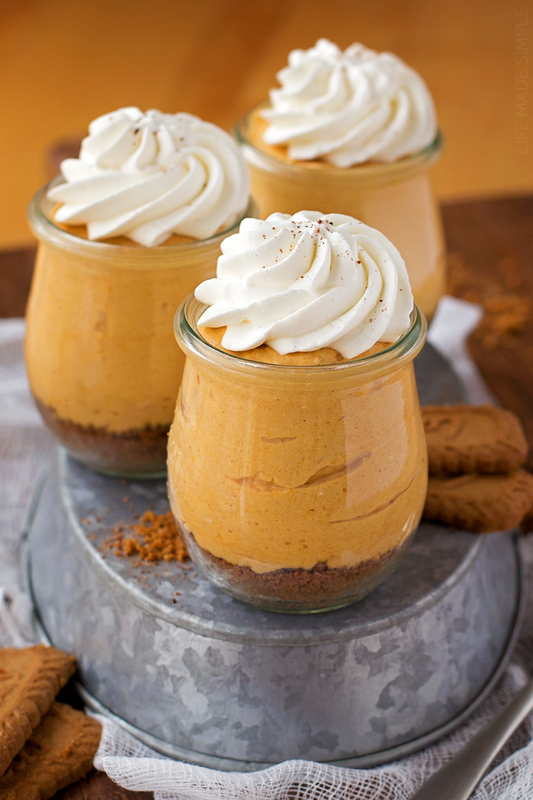 Individual no-bake pumpkin cheesecakes will make everyone at your Thanksgiving dinner happy. 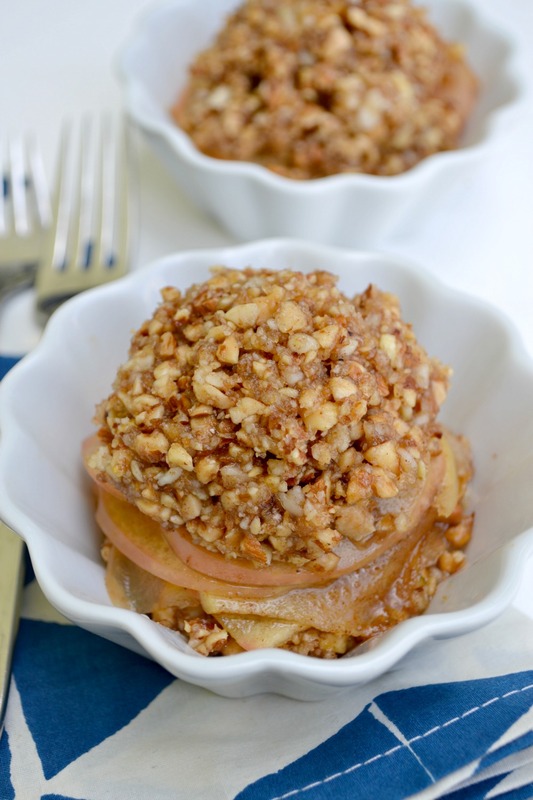 Healthy as it is tasty, this no-bake apple cobbler can be had for dessert or breakfast. 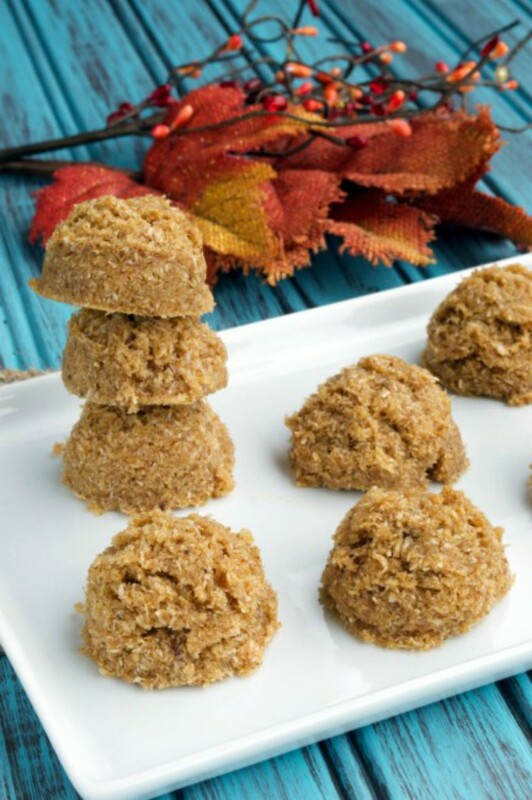 Paleo adherents will rejoice when they’re served these tasty no-bake pumpkin cookies. Image: Eat Good 4 Life. 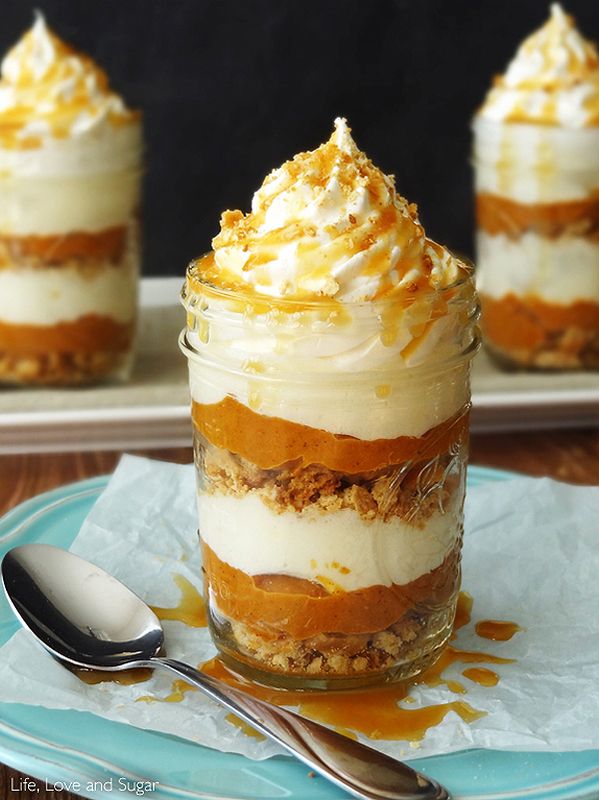 Creamy, no-bake pumpkin cheesecake is even better in bar form. 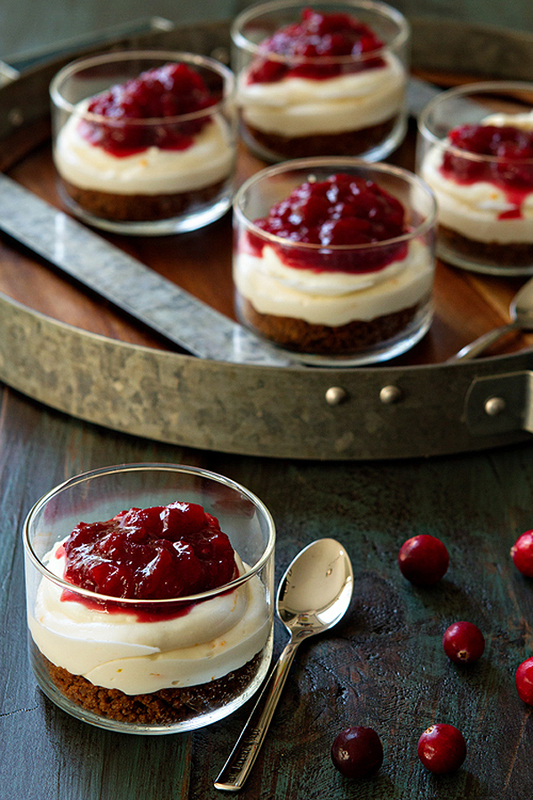 Cranberry-orange need not be relegated to garnish thanks to these no-bake cheesecakes. 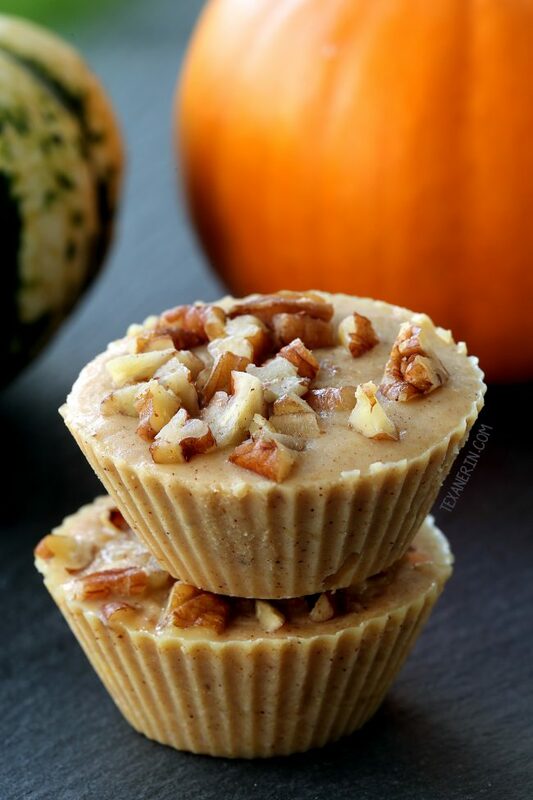 Not only won’t these tarts take up oven space, but they also won’t derail your healthy eating. 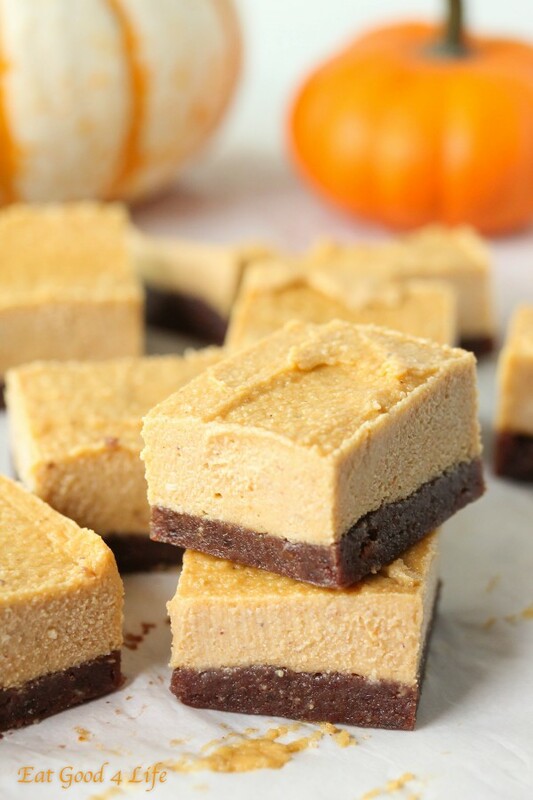 End your night on a sweet note with this no-cook white chocolate-pumpkin fudge. 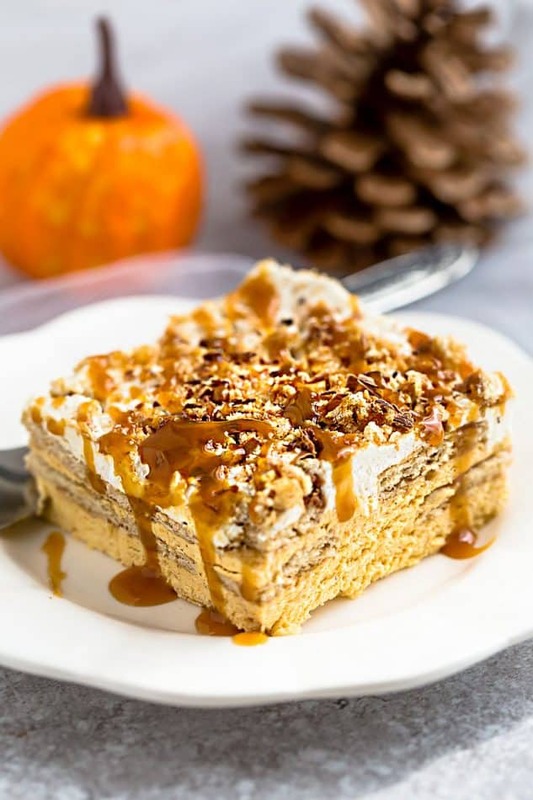 Fluffy and light, this no-bake pumpkin-marshmallow pie packs a sweet punch without feeling too heavy. 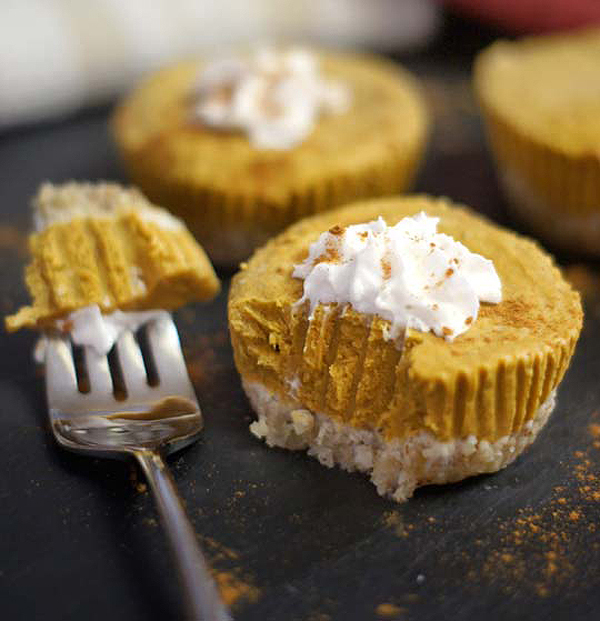 Fifteen minutes are all you need for these decadent pumpkin cheesecakes with streusel topping. Image: White on Rice Couple. 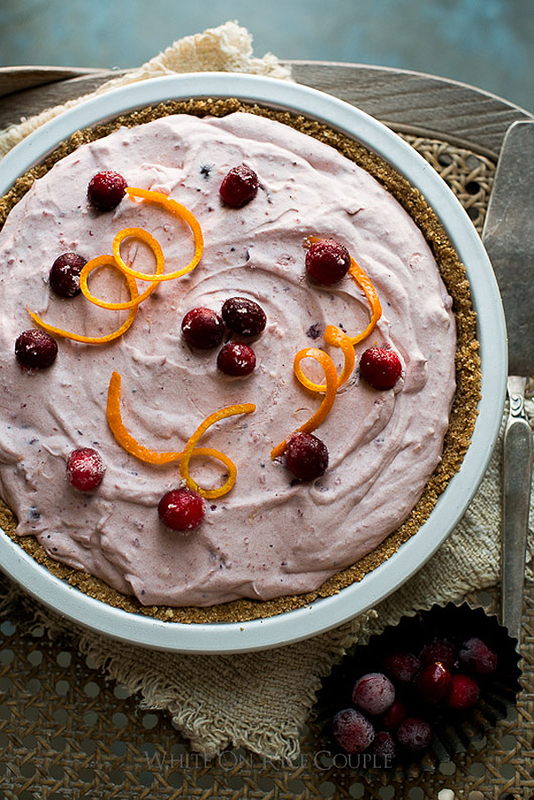 Light and fluffy, this cranberry pie is a seasonal delight. 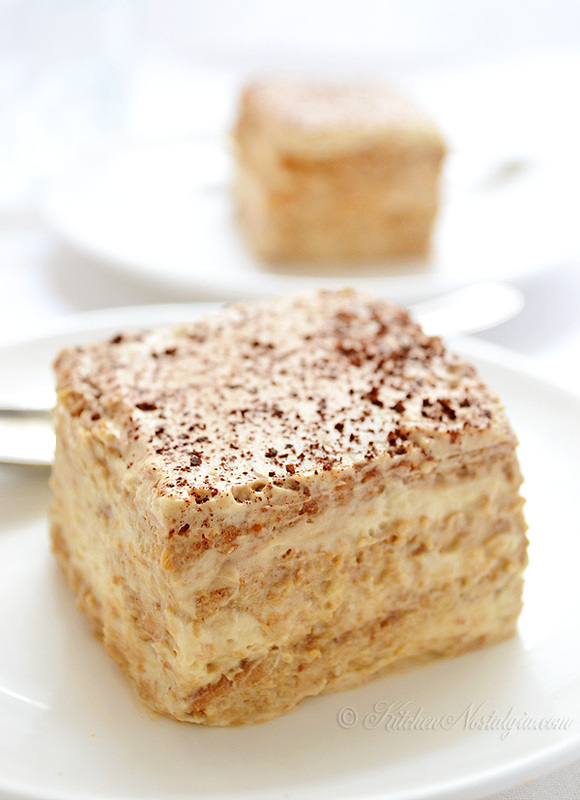 Only six ingredients in this delightfully creamy creation. Holy cannoli! 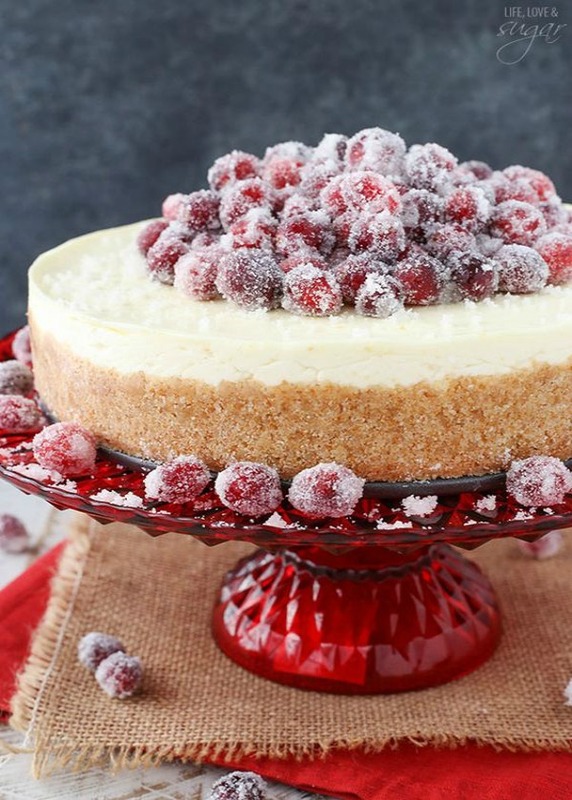 This yummy cheesecake takes four hours to set, but it’s worth the wait. 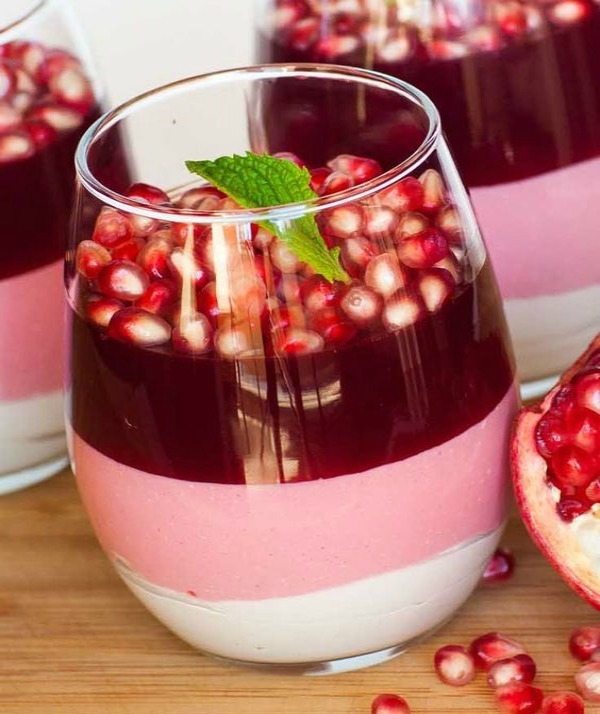 The deep, gorgeous colors of this pomegranate mousse scream fall. Image: Life, Love & Sugar. 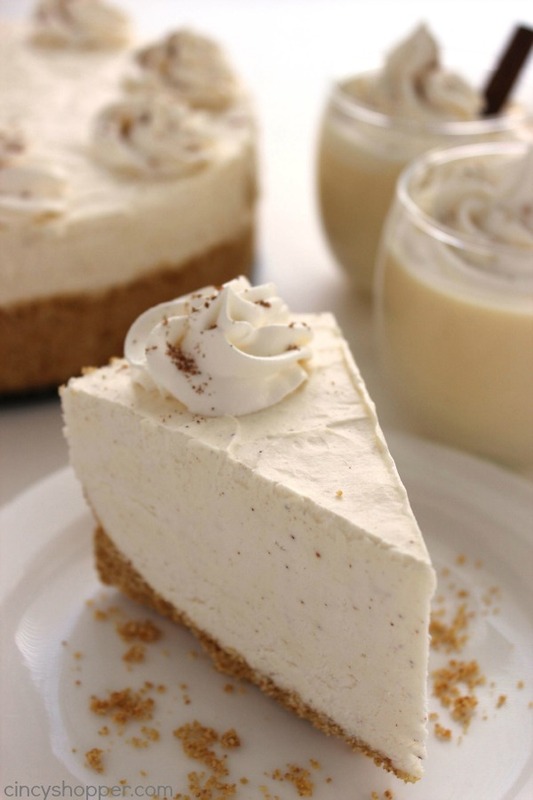 This cheesecake is as beautiful to look at as it is yummy to eat. 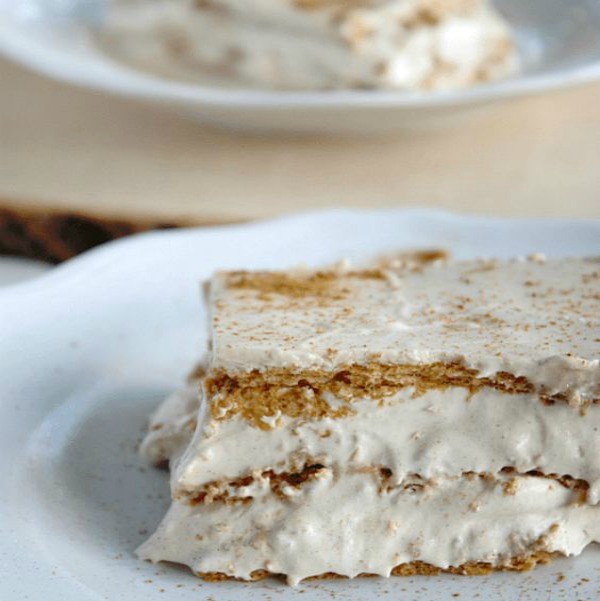 Everyone will love the pumpkin-spiced cream filling in this no-bake eclair cake. This recipe puts a tasty spin on an old classic. 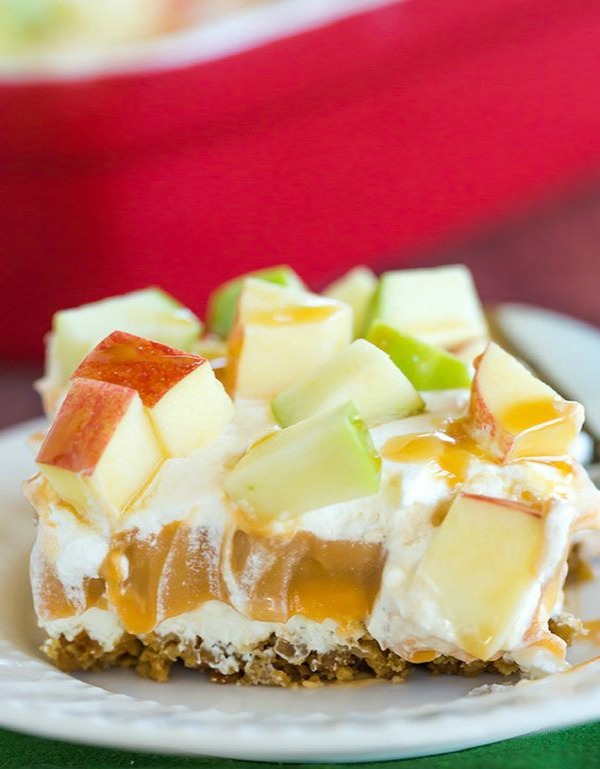 Brown Eyed Baker had us at caramel apple. Finally, it’s eggnog season! 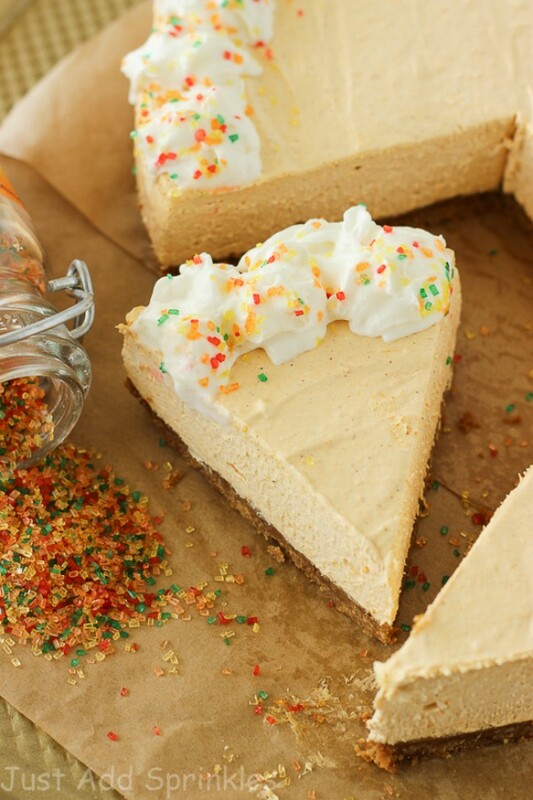 This no-bake cheesecake almost seems too good to be true. Pin now, (no) bake later!